For devotees of the TV series Victoria, the introduction of foreign secretary Lord Palmerston was a season three highlight. And given Palmerston’s dominant role in British foreign policy between 1830 and 1865, his introduction was historically apt as well as dramatically interesting. Purists, though, might take issue with the casting. 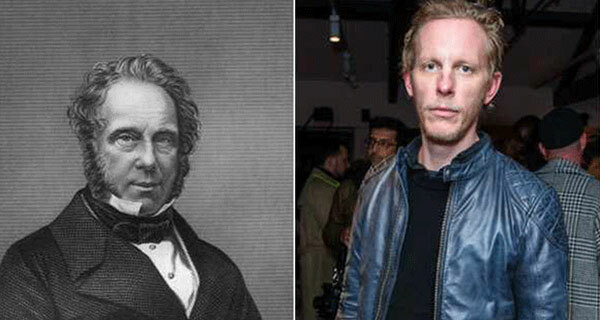 Although Laurence Fox’s performance is excellent, the actor is only 40-years-old whereas the real Palmerston was in his mid-60s at the time of the depicted action. By casting it the way they have, the producers are able to disregard the 35-year age difference and suggest a subtle sexual undercurrent between the sovereign and her foreign secretary. Born Henry John Temple in 1784, Palmerston was a bona fide aristocrat with a common touch. He liked horse racing, prize fights and women. The popular predilection for “having a flutter” was second nature to him. He also had an understanding of the emerging power of the press. And rather than merely reacting, he set out to shape the way he was portrayed. Unlike most modern politicians, he didn’t require public relations consultants to help him sculpt his image. Ideologically, Palmerston could be characterized as an English nationalist and this, too, was a critical part of his popular appeal. He thought that being an Englishman was the highest state anyone could aspire to. Were he alive today, he’d most certainly be a Brexiteer. On his signature issue of foreign policy, Palmerston was particularly assertive. You might even say pugnacious. “Gunboat diplomacy” is the term that’s often associated with him. Deploying this capability, Palmerston set out to protect and project what he saw as Britain’s interests. And whether by bluff or actual invocation of force, he was enthusiastically prepared to get the job done. Of course, much of this can be construed as self-serving imperialism. But not everything can be so easily dismissed. Palmerston was also generally a supporter of the European revolutions of 1848, a position that put him at odds with much of the British aristocracy, particularly the Royal Family. From the perspective of Victoria and her German husband, Prince Albert, the European royal families were relatives and friends. Palmerston saw them differently. To him, they were autocrats rather than constitutional monarchs. He wasn’t opposed to the concept of monarchy but he believed the position that had evolved in Britain by the 1830s was ideal. While the monarch should have political influence and embody social stability, royal power should also fall a long way short of being absolute. And in his estimation, pre-1848 Europe flunked that test. It needed to become more like Britain. Historians struggling to come to terms with Palmerston have sometimes slotted him as a conservative at home and a liberal abroad. His prizewinning biographer, the late Jasper Ridley, begged to differ. According to Ridley, what other commentators viewed as a contradiction was really no more than Palmerston believing that Britain had already got the balance right. So he wanted to preserve the system at home and thought that European stability, and thus Britain’s security, would be enhanced if other countries followed suit. And a look at the full sweep of his political career does show an interest in significant aspects of domestic reform. He was, for example, a supporter of Catholic emancipation in the 1820s. He also supported the Great Reform Act of 1832, which expanded the electorate to around 18 per cent of adult males. Historical figures like Palmerston can be a problem for 21st century sensibilities. Because many of their values were alien to ours, we find it necessary to withhold approval. We never wonder whether they’d have approved of us.